Students, parents, and school staff deserve a safe learning environment. Yet recent headlines of violence, bullying, and drug abuse have shown the vulnerability of schools. 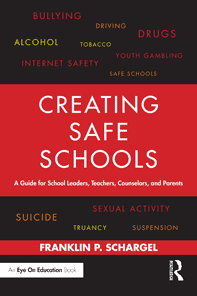 In this timely and important book, Franklin Schargel provides leaders, teachers, counselors, parents, and students with the necessary information to address and diminish safety problems in schools. Creating Safe Schools explores the background and data about the severity of safety issues facing schools today and also provides the strategies and tools to address them. Clearly organized according to issue, this book allows for easy reference and is packed with tools, activities, checklists, strategies, and tips. School violence takes a variety of forms so the book will deal with a number of school violence issues. 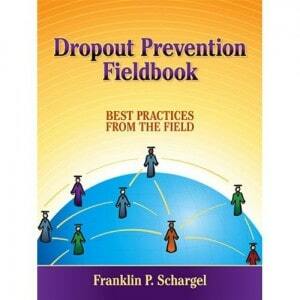 The Dropout Prevention Fieldbook: Best Practices from the Field addresses a broad range of educational challenges, including school safety, cyberbullying, and poor attendance. Teachers, administrators, counselors, and special educators can use this book to predict and prevent student dropouts, improve the quality of their schools and raise student achievement. Find out how to keep your best teachers on staff, and make sure your new teachers stay motivated beyond their first years on the job. 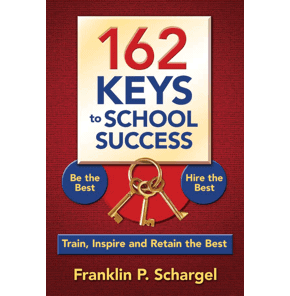 In this book, leading educational consultant Franklin Schargel offers 162 easy-to-apply tips and strategies for principals and administrators looking to hire quality teachers, raise faculty job satisfaction, and hold onto their most effective staff members. There are three things which will improve schools. 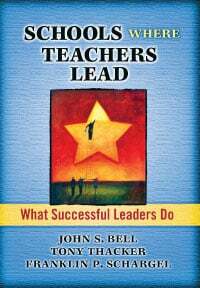 The first was addressed in our book, From At-Risk to Academic Excellence: What Successful Leaders Do. 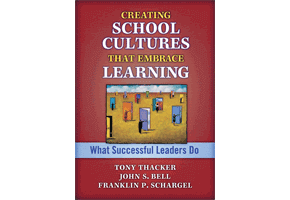 The second is the focus of this book, Creating School Cultures That Embrace Learning: What Successful Leaders Do. Some schools are hostile, some people would say “toxic” to student learning, students, parents and staff. We need to transform them into schools which embrace and develop supportive learning environments. This exciting book has been designed to provide field-tested ideas about working with at-risk students. Designed to be read and implemented quickly, these are concise snapshots of what educators can do to keep students from dropping out. You can apply these practical tips in your classroom today. This book brings together the wisdom and experience from over 50 schools that have been categorized as “high performing, high minority, high poverty.” It shows us how the leaders of those schools succeeded — in their own words. This book presents 46 research-based tools, worksheets, and resources which have been field-tested at schools and dropout prevention programs across the country. For teachers, administrators, counselors, and special educators who work with at-risk learners, it helps you apply the Fifteen Strategies identified by The National Dropout Prevention Center and Network at Clemson University. In print and on CD-ROM, this book presents resources and worksheets used at schools and communities across the country. These tools and techniques demonstrate how to apply the Fifteen Strategies identified through research conducted by The National Dropout Prevention Center at Clemson University.